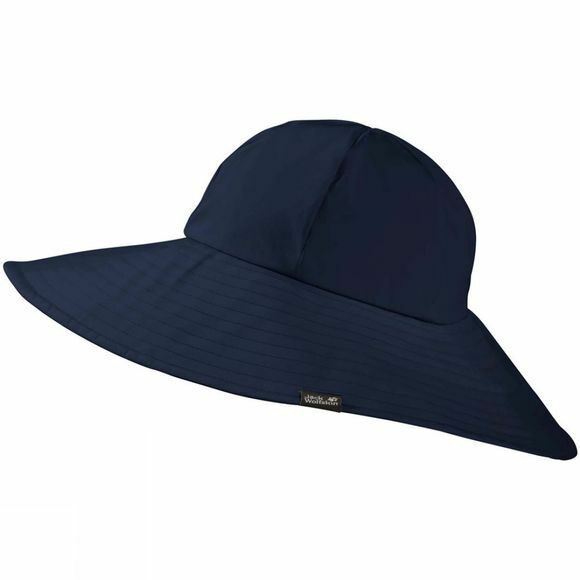 The perfect hat for a day at the races, the Womens Palmdale Hat from Jack Wolfskin gives you reliable protection from the sun and the wind. With its elegant shape and extra wide brim, this hat is also a must-have summer accessory for the beach or the city. To ensure you keep a cool head it is equipped with an airy mesh lining. It blots up moisture, shifts it quickly to the outside and promotes a superb wear climate, even in hot temperatures.